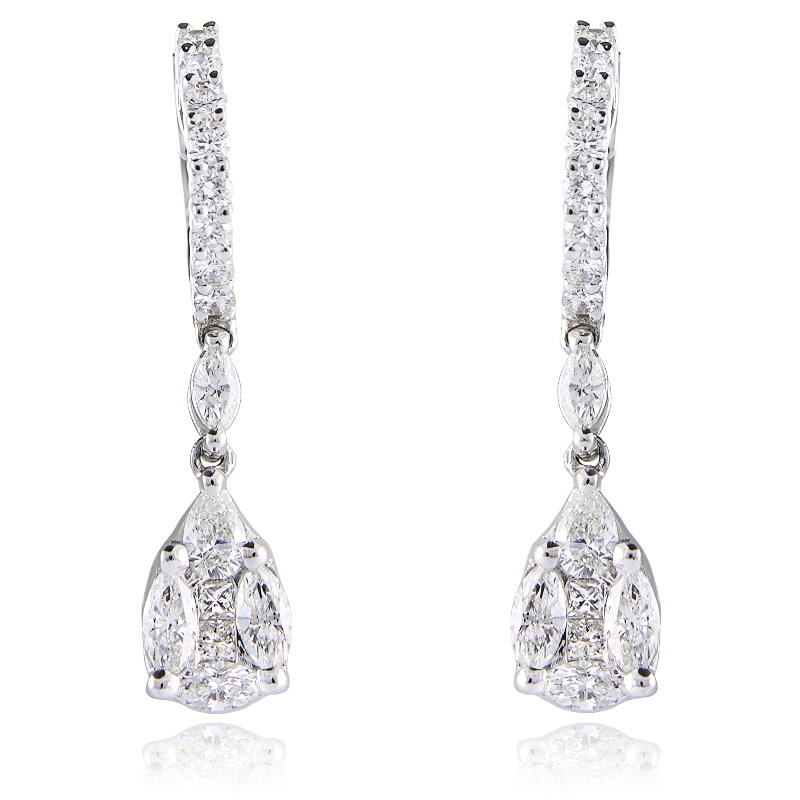 Diamond Details: 4 Princess cut, 2 pear cut, 8 marquise cut and 16 round brilliant cut white diamonds, F color, VS2 clarity and excellent cut and brilliance, weighing 1.28 carats total. Measurements: 1 Inch in length. 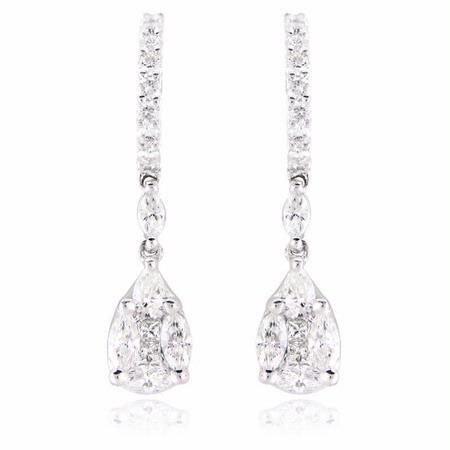 These exquisite 18k white gold dangle earrings, designed in Italy, feature 4 princess cut, 2 pear cut, 8 marquise cut and 16 round brilliant cut white diamonds of F color, VS2 clarity and excellent cut and brilliance weighing 1.28 carats total. 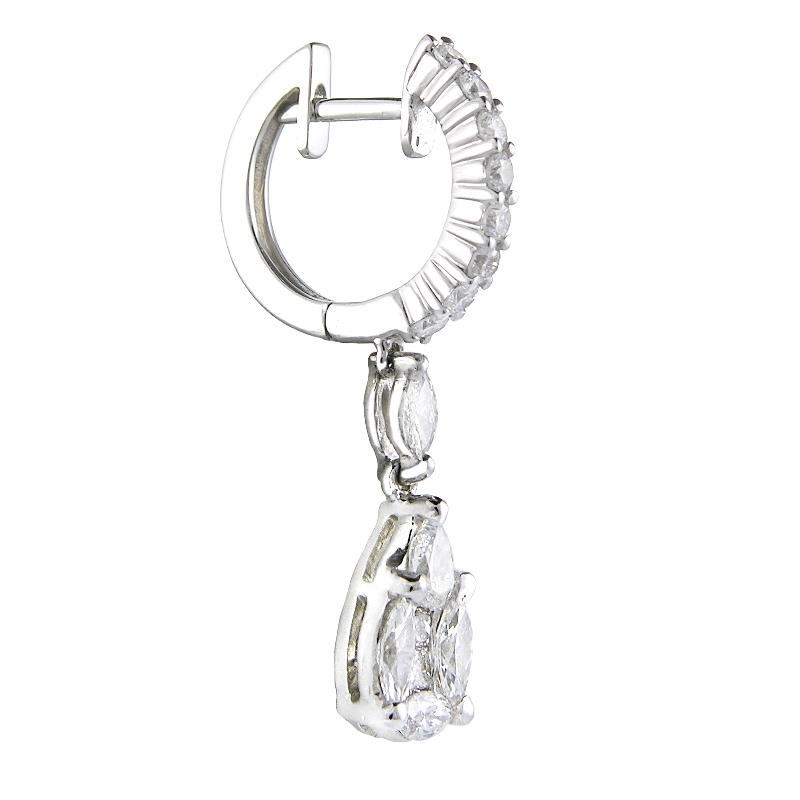 These diamond dangle earrings feature hinged hoop backs. 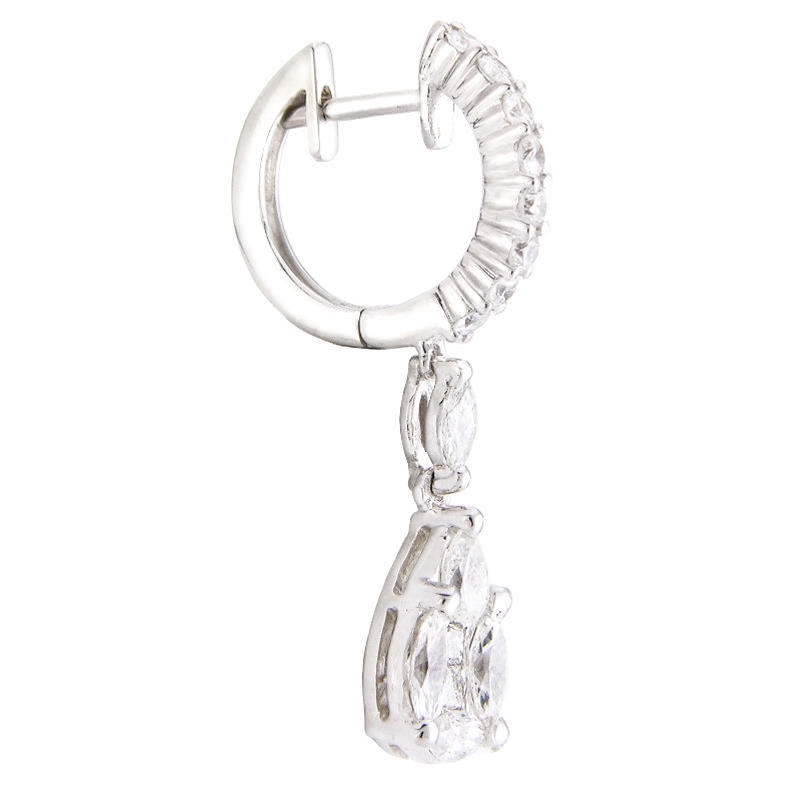 The earrings measure 1 inch in length.